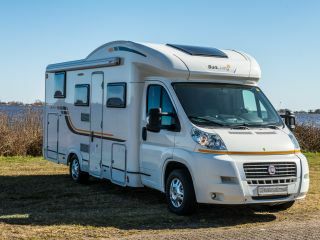 Hymer 644G, equipped with solar panels, automatic dish, TV, rice swivel stools, spacious kitchen with refrigerator and freezer, 2 double fixed bed, 2 seater folding bed, shower and toilet. Large garage where the bike or scooter can. Trailer coupling, for example, to be able to take along a boat. 1. Enjoy this nice camper especially. 2. We have available a practical manual and instructions for use in the camper for all uses. 3. 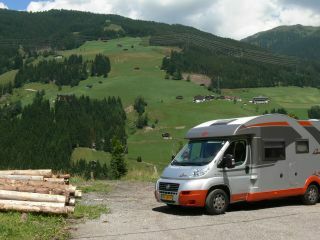 You will get a fully equipped camper, including full tanks and gas cylinders. 4. The diesel tank we want to get back, the gas we do ourselves. 5. Clean the toilet and empty the cassette empty.